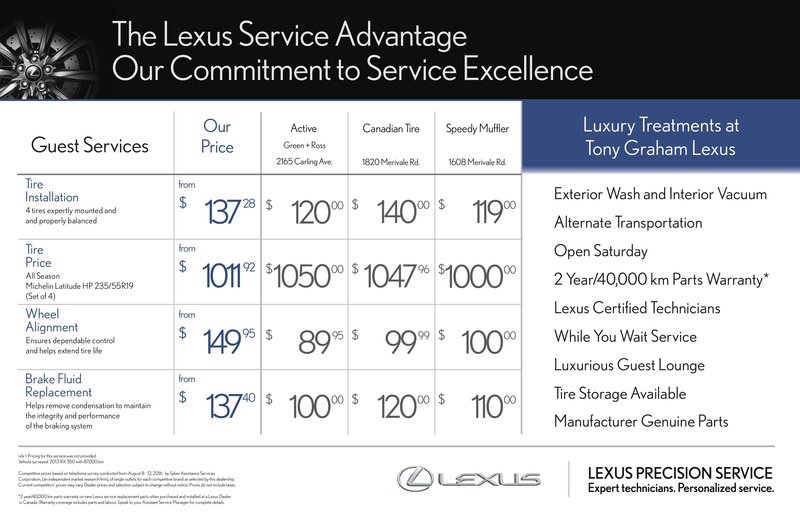 When you visit Tony Graham Lexus for service, you can count on us to take good care of you and your vehicle. Our team of dedicated Service Advisors and factory-trained Technicians is committed to delivering quality service using only Lexus Certified Parts. Quickly and easily Book Your Service Appointment, get more infomation on Maintaining your Lexus, or contact the Lexus Certified Tony Graham Collision Centre in Bells Corners. We are committed to ensuring your continued satisfaction and surpassing your expectations to help you experience many years of driving enjoyment. It is our commitment to being "the best dealer you have ever done business with".